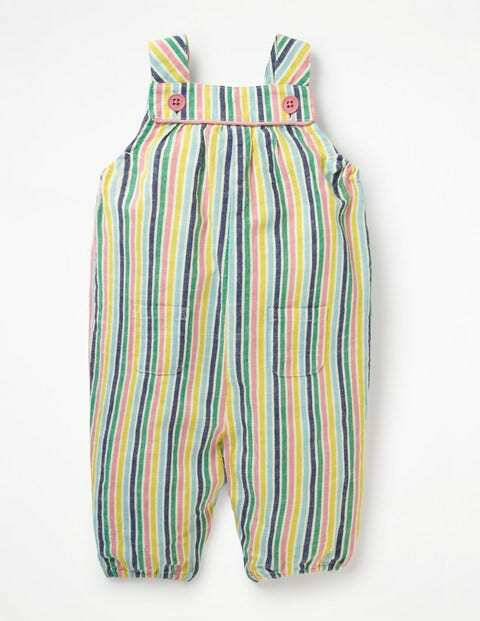 Little crawlers can match their sisters, cousins and friends in these multi-stripe dungarees, made with the same print as our dress and culottes for older girls. The cotton design is partly lined for comfort with concealed poppers at the legs for easy changes. Straps with colourful buttons are adjustable so they grow with baby.